Some of us can afford to go to the gym while others cannot, others can afford to their tight schedules do not allow this convenience… and still, others just choose to train at home. 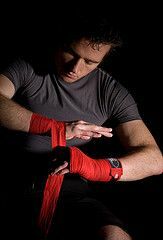 Whatever your reason, if you can afford going to a boxing gym and your schedule allows, I would not recommend for you to begin teaching yourself boxing or another martial art at home; especially if you are a complete newbie in this game, it is always a better option to find a trainer to teach you boxing basics pretty quickly. But for those of you who have already learned the basics and you decide to begin spending more of your time improving your boxing skills and technique from the comfort of your home, you are definitely going to need some real-proper boxing equipment with you. I am going to explain to you what equipment you need and why you need them, before finally teaching you how to go about learning those boxing skills in 5 easy steps. The Internet and some video resources can go a long way in helping you enhance the learning of the new techniques as you practice them incessantly. What do you need to box at home? Protect your weapons; I mean your hands! Learn to wrap them well. Any semi-elastic-cotton-and-spandex-made hand wraps are okay. If you are not sure of how to wrap up perfectly and securely, there is a lot of help from online, over-the-counter videos and books. Mexican-Style Hand Wraps – preferred by many boxers. These are different from sparring/competition boxing gloves, and are designed with padding that is just enough to protect your hands as you punch your bag. Get a quality pair; I recommend Title Gel World Bag Gloves. For the hanging variety, I recommend the Everlast 100-Pound C3-Foam Heavy Bag. But if you need a free-standing punching bag, check out this article. This is ideal for shadow-boxing, i.e. if you want to feel – and see – like you are training with a real boxing partner when you are alone! (i) Mitts: your partner holds them for you to punch on. I recommend the Ring to Cage Focus Mitts (Est. $65 at Amazon). (iii) Mouth Guard: though your training is not an actual fight, you do not need your teeth falling off with a punch from your partner. I would recommend the Shock Doctor Mouth Guards, but you can check this Sherdog forum thread for more recommendations. (iv) Groin and/or Chest Protectors: men need to protect their groins from accidental hits while women will be more worried with their chests being hit. (v) 2 pairs of Sparring Gloves: sparring means to practice fighting just for the training skills and fitness, not for the determination of a winner. Check out my Top 10 boxing gloves list and choose the ones that better fits your and your sparring partner needs. (vi) Other optional equipment that can aid in enhancing your training, fitness and safety include: a medicine ball, a jumping rope, a speed bag, a double-end bag and an interval boxing timer. You need a clear area of about 100 square-feet (i.e. 10 ft by 10 ft), as well as a punching bag. For those of you whose boxing space does not allow for hanging your punching bag from a ceiling, free-standing punching bags are available at most sporting equipment stores and martial-arts supply catalogs. This helps to perfect that specific skill really fast. For instance, do a punching combination and/or footwork exercise, 2-3 times per week. You could make use of a book, video or online resources to perfect the basics, or even for reviewing the boxing knowledge you already have. Once a technique is ingrained, practise it for 50-100 repetitions on your punching bag. For these, do some general bag-work 2-3 times a week – the repetition helps make these skills part of you for the long term. Work your bag in rounds of 2-3 minutes for best results here, every time working your way up to 10-15 rounds of work in each training session. And as you work the bag, approach it with a pre-thought game plan – a scientifically-calculated approach – it is not enough to just punch it randomly. This helps a lot in developing your attributes as a boxer. From time to time, you need to find a sparring partner to practice with, and this should be another boxer who is serious about your training together or your perfecting the skills. An unserious person could become emotionally involved as you do your sparring practice while an angry partner could become reckless and hurt you or even their own body as you practice. For the safest sparring practice, consider getting an equally-serious 3rd party to supervise the two of you by acting as your referee. Ensure you get some cardiovascular exercises several times every week. 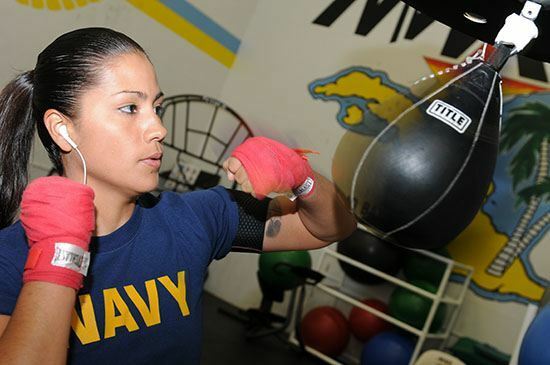 Though no punching will be involved here, a good cardio will give you the wind you require for practicing and fighting effectively during your later rounds of punching. Some of the cardio workouts to include here are shadow-boxing, rope-jumping as well as running – which is known in the boxing community as road-work. Remember, no boxing adage is truer than this old saying: fights are won on the road; not in the ring! – Russ Anber’s DVD (Est. $20 At Amazon) – for beginners. – Kenny Weldon’s DVD set (Est. $75 at Amazon) – for advanced boxers. 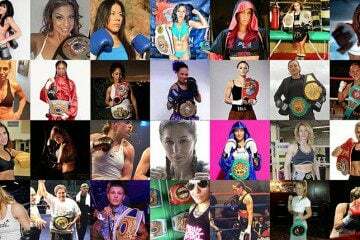 – The Boxing Blue Print (Est. 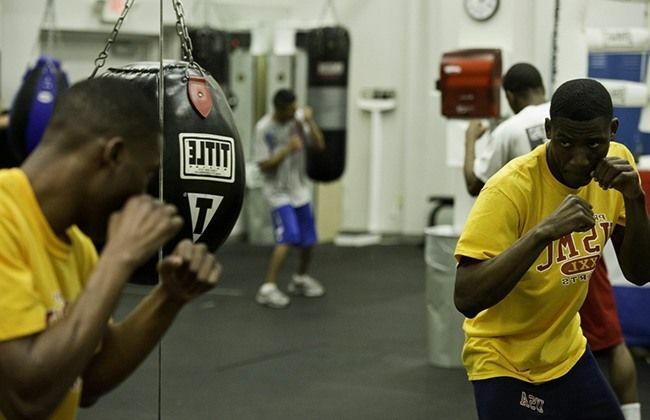 $49) – Strength and Conditioning Training Program for Boxing.